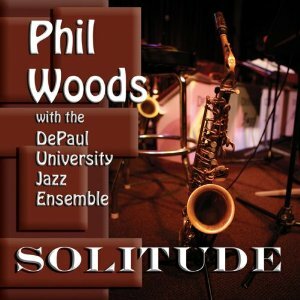 Not to underplay the title, but Solitude, from alto saxophone master Phil Woods and the splendid DePaul University Jazz Ensemble, embodies far more than the sort of serenity it implies. In fact, Woods is as animated and inventive as ever, swinging lustily and full of vim and vigor at age 78, while director Bob Lark's enterprising undergrads urge him on with inspired blowing on every number. The studio session is further enhanced by the presence on three tracks of the other members of the Phil Woods Quartet: pianist Jim McNeely (a frequent visitor to DePaul), bassist Steve Gilmore and drummer Bill Goodwin. While McNeely is the only one of the three to soloon "A Child's Blues" and "Nothing But Soul"Gilmore and Goodwin make their presence felt in other ways, granting the ensemble the unflagging benefit of their many years together as a working rhythm section. Besides soloing brilliantly, Woods composed all of the album's 10 selections ("Solitude" isn't the well-known Ellington theme but an original by Woods), and none is less than engaging. 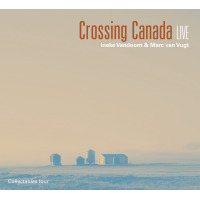 The seductive arrangements are by Woods ("Randi," "Ol' Dude," "Solitude"), McNeely, Mike Pinto, Kirk Garrison, Tom Matta and two members of the ensemble, trumpeters Scott Dickinson and Joe Clark. Although Woods exercises his prerogative as leader / legend-in-residence and takes the lion's share of the solos, there are persuasive comments along the way by DePaul's pianist, Dan Dufford ("Randi," "Solitude"), vibraphonist Justin Thomas ("Before I Left," "Flowers," "Ol' Dude," Mother Time"), trumpeter Dickinson ("Before I Left," "Song for Sass"), tenor Alex Beltran ("Ol' Dude"), trombonist Bryan Tipps ("Ol' Dude," "Mother Time") and alto Nick Mazzarella ("Ol' Dude"). The program consists of an artful blend of burners and ballads with the playful, self-mocking "Ol' Dude" and two Latin charmers ("Brazilian Affair," "Song for Sass") sandwiched in to spice up the menu, which they do quite nicely. The DePaul ensemble provides unswerving support in those settings, as it does throughout the lambent session. In sum, a buoyant and picturesque album that is sure to give any listener many hours of pleasure, whether in Solitude or encircled by others.